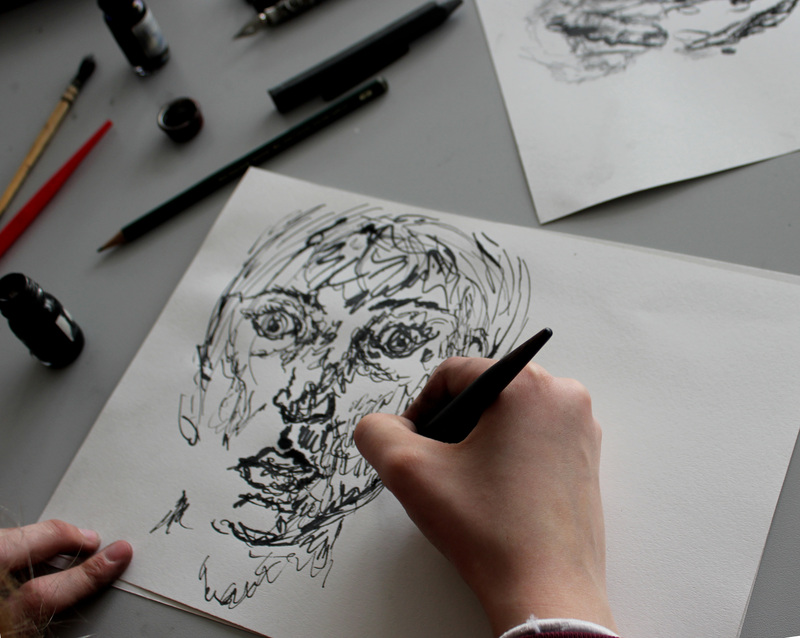 Y10 students, Vida, Helena, Marianna and Kate took part in a drawing project for the ‘Where for Art Now?’ exhibition at Goldsmiths College. 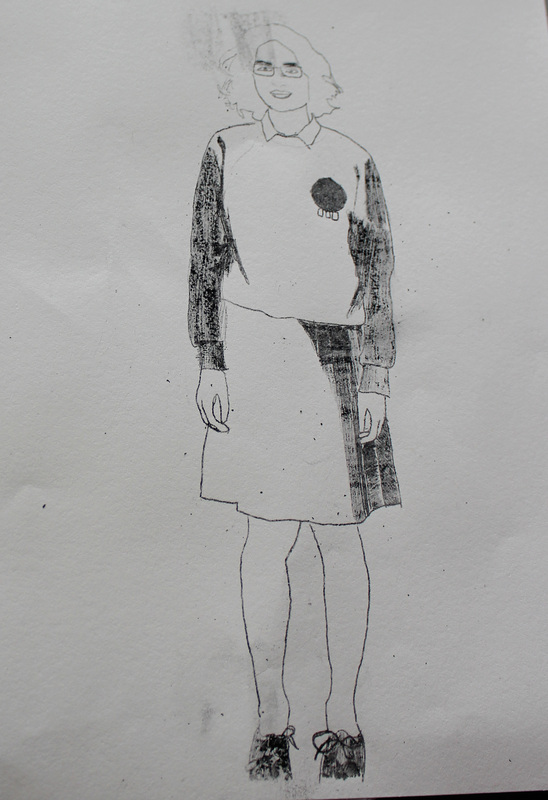 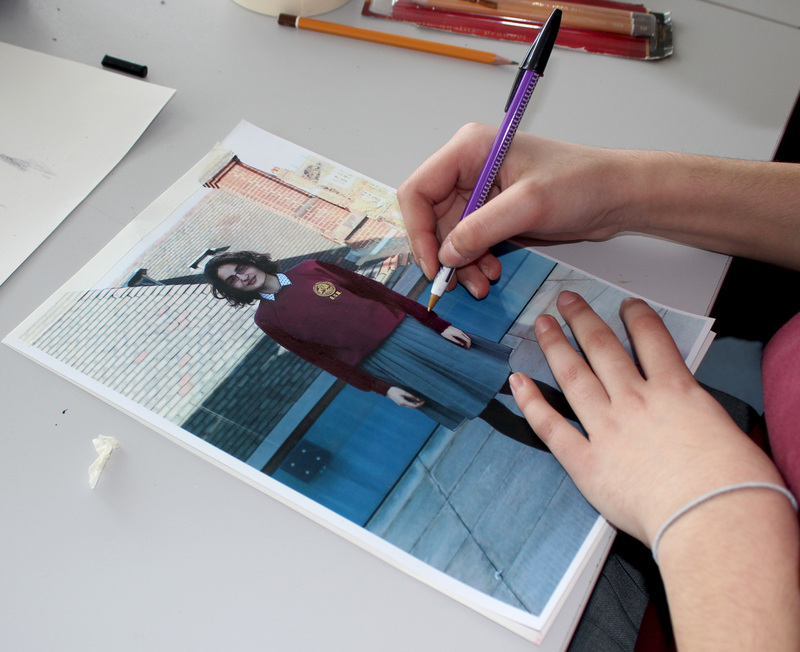 The aim of the project was twofold: to find out what students wanted from drawing lessons in school, and to encourage students to examine their values around drawing, by exploring traditional and experimental drawing techniques. 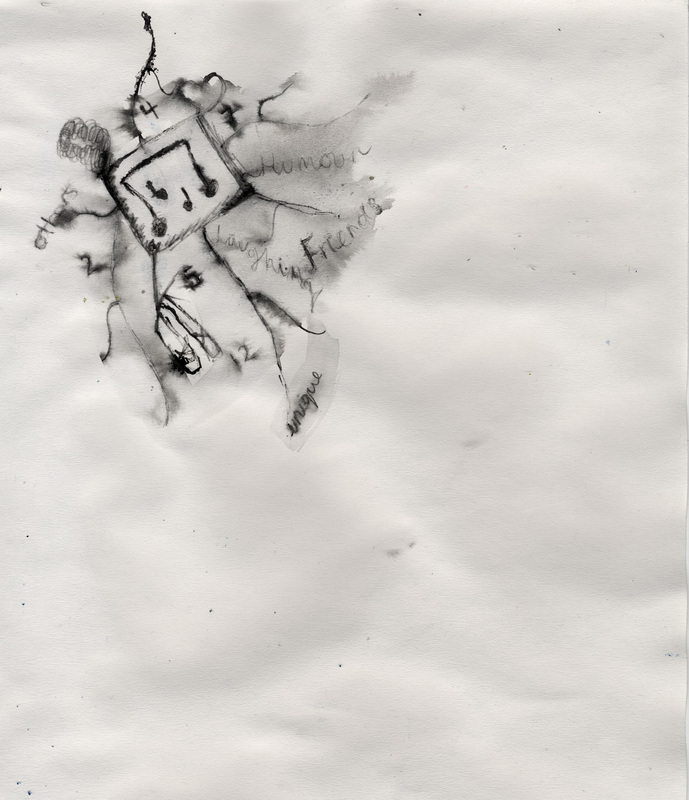 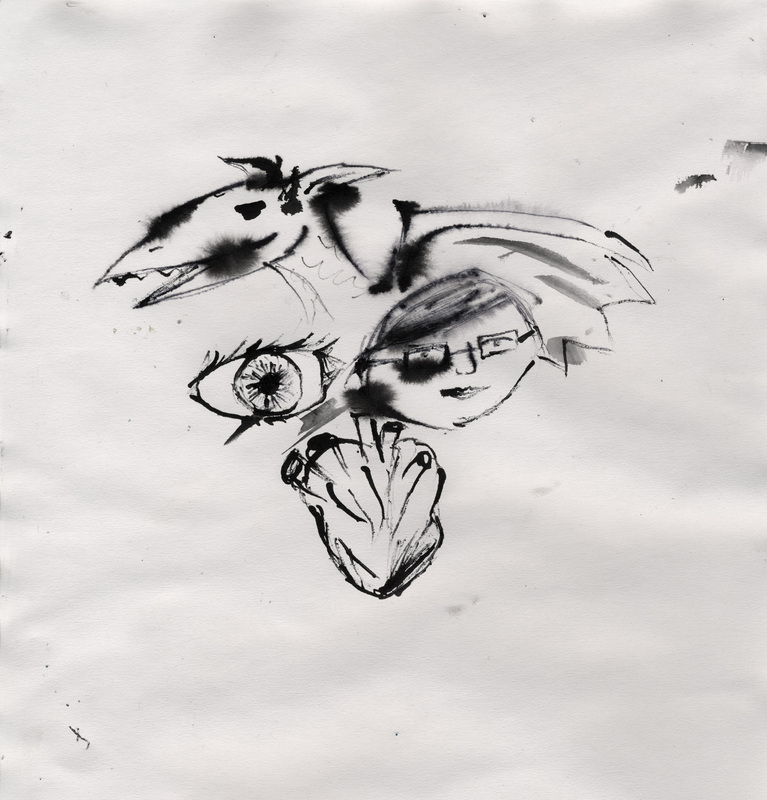 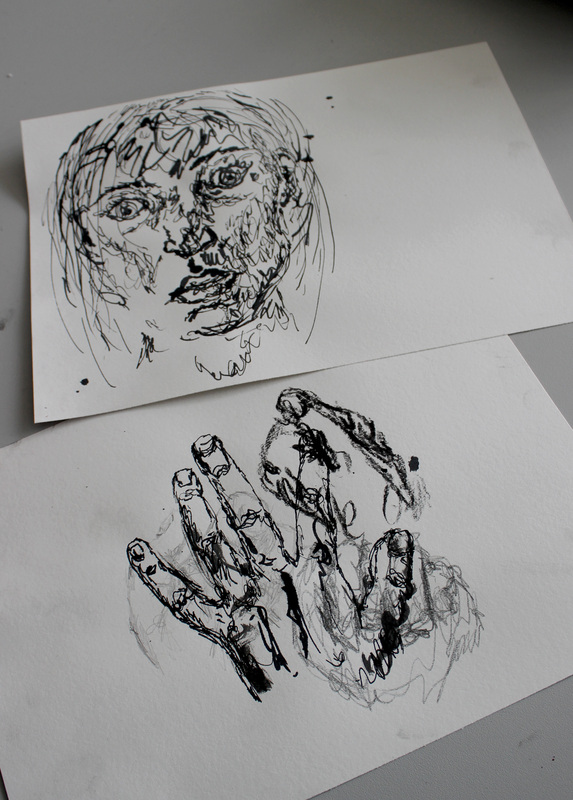 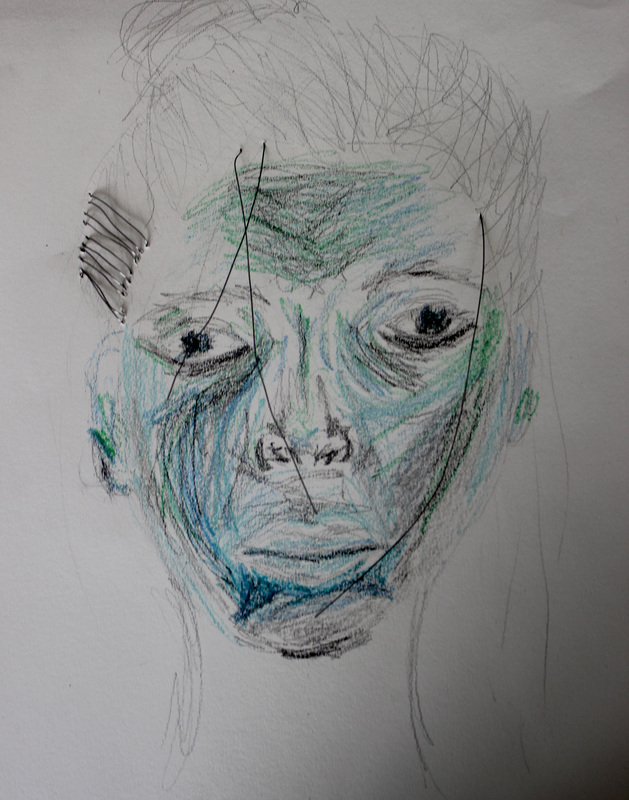 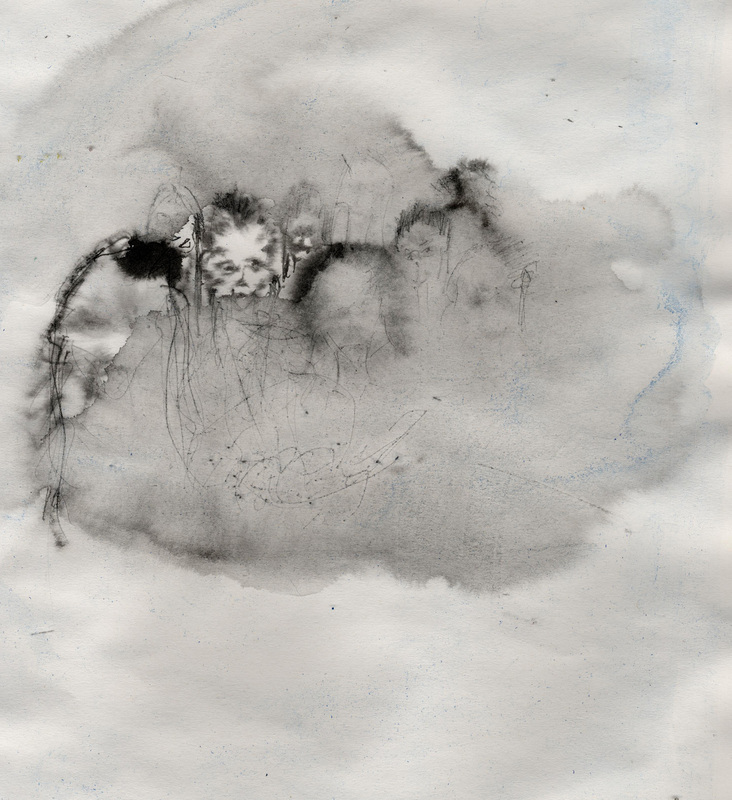 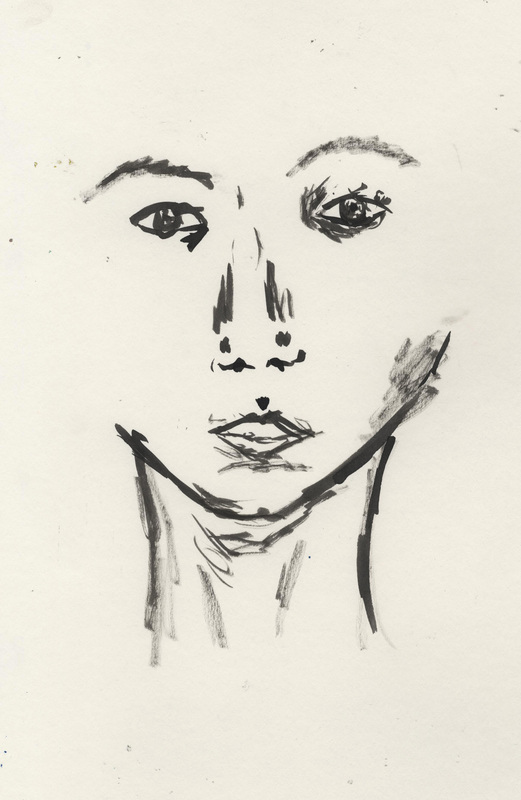 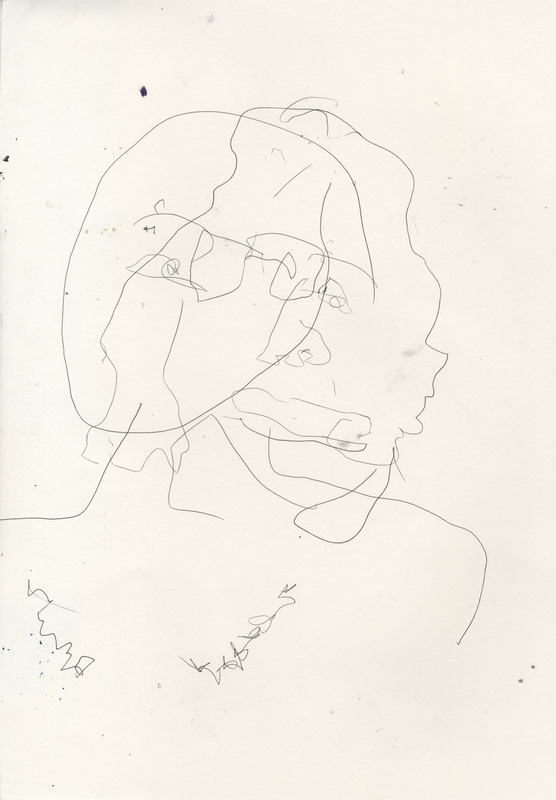 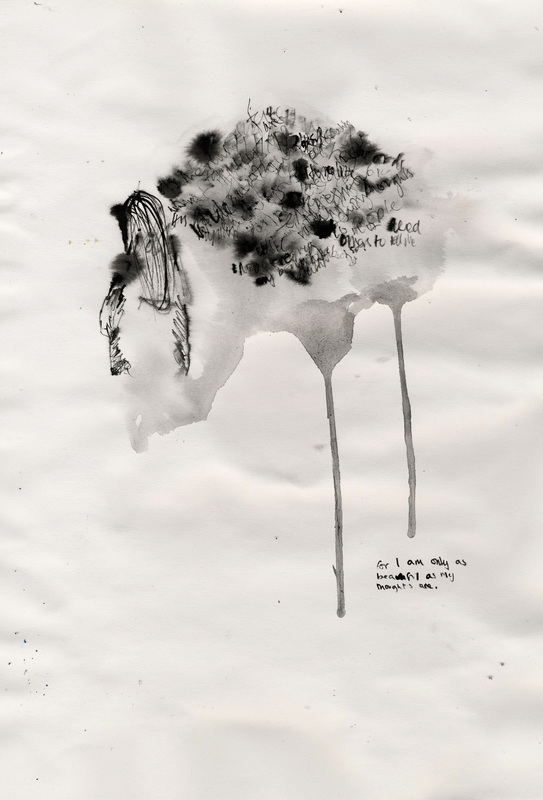 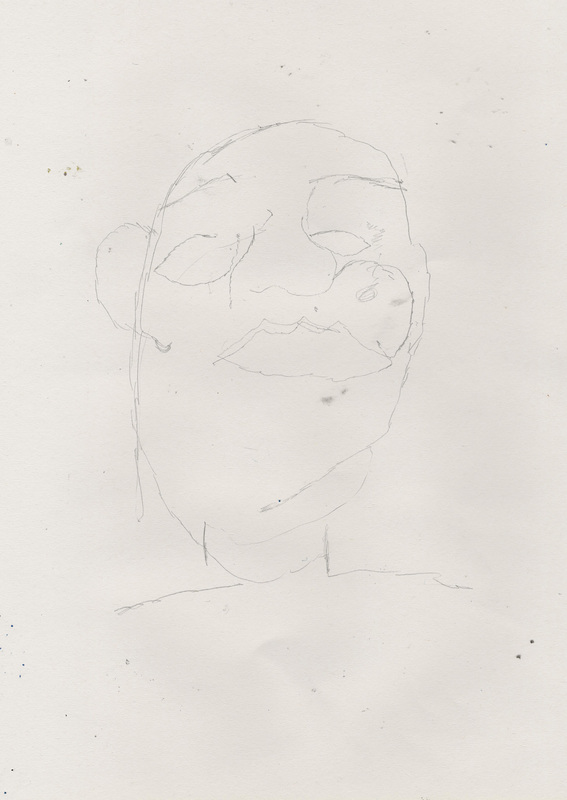 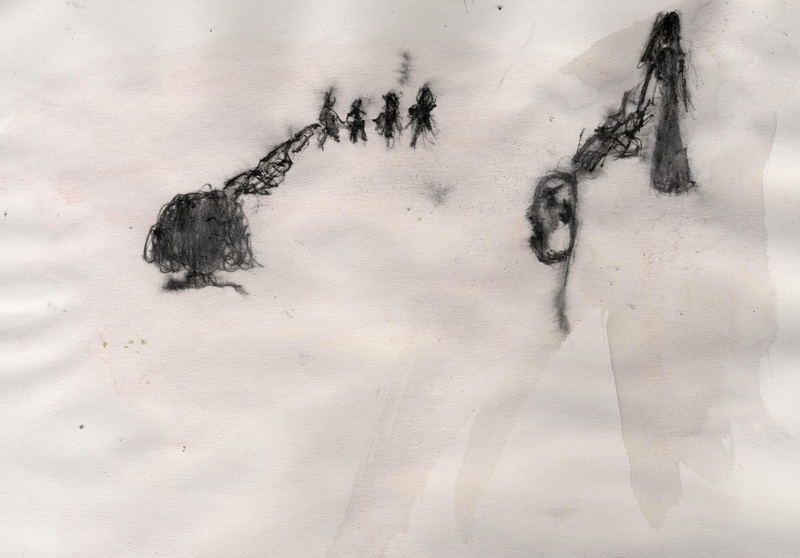 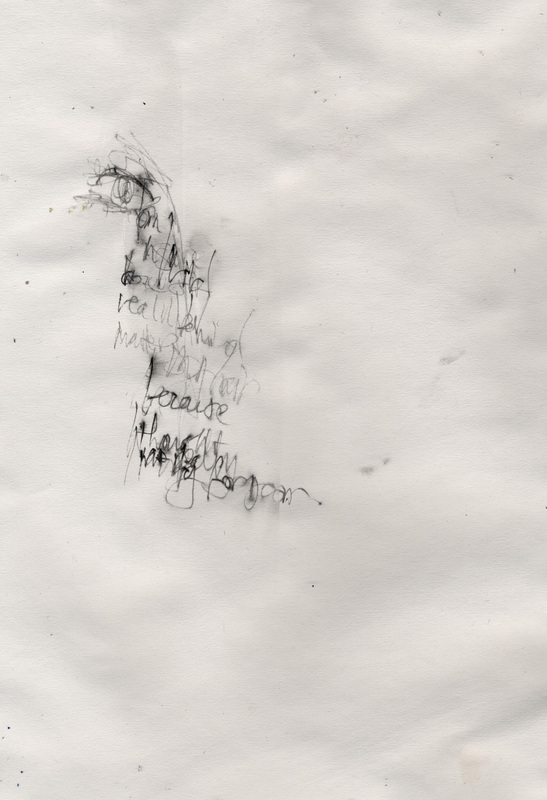 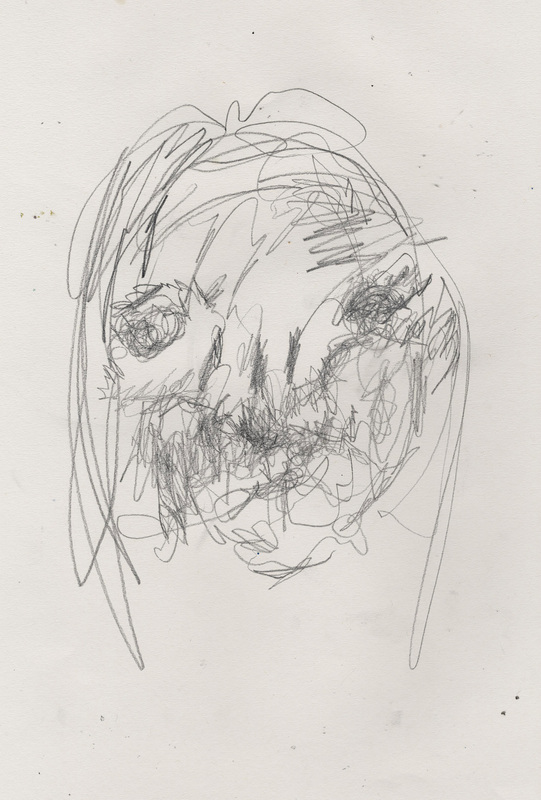 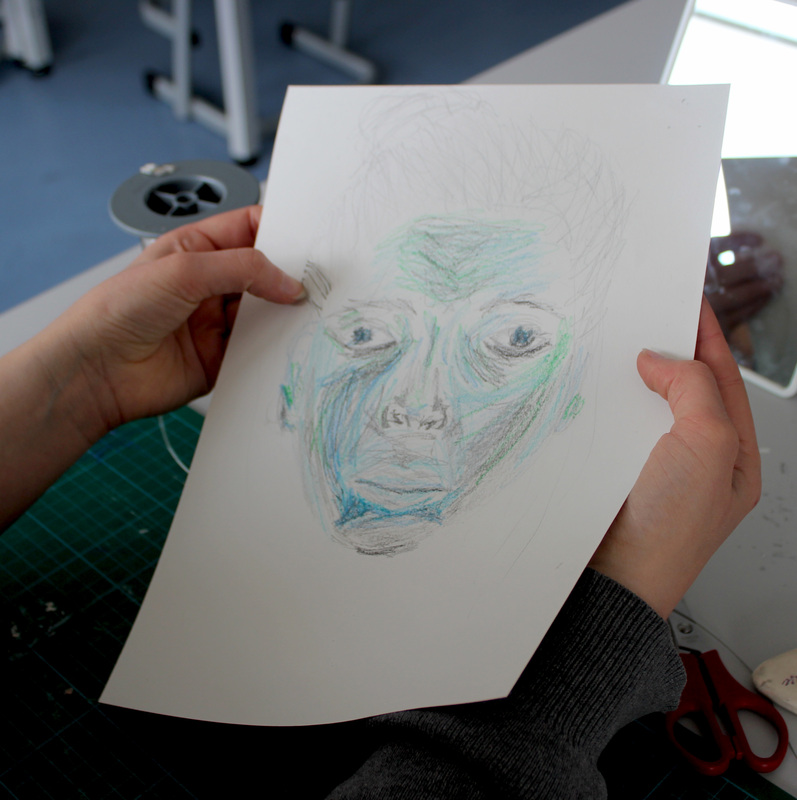 They began the project by drawing to produce specific outcomes using traditional media and techniques, and then moved on to creating process based drawings inspired by artists such as Carolee Schneeman and Claude Heath. 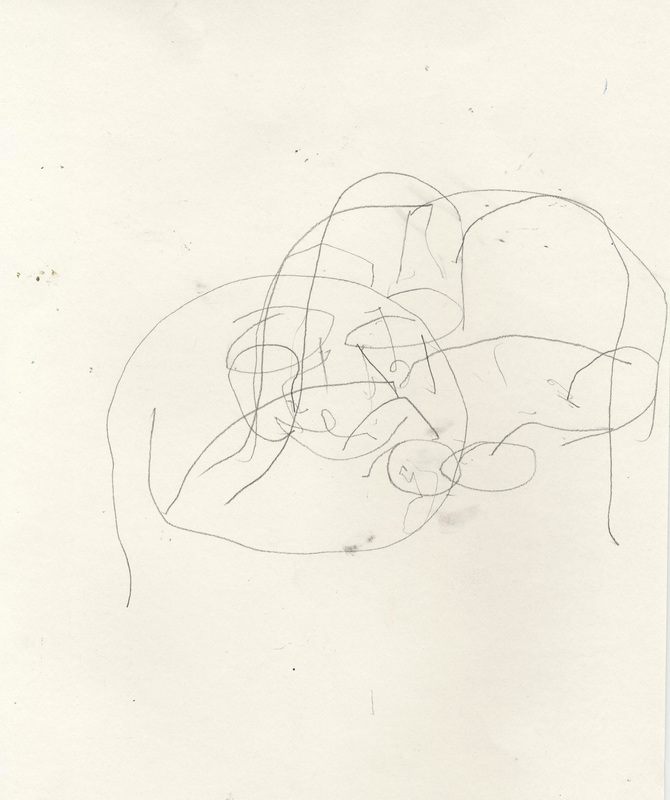 Finally, they progressed onto making ‘thinking’ drawings, or ‘doodles,’ to generate ideas and thoughts. 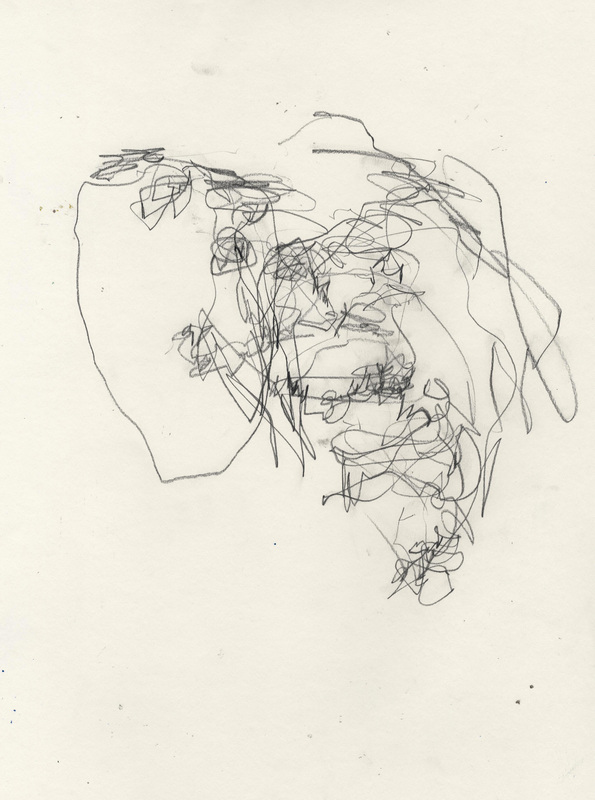 Influenced by artists such as Francis Alys and Edith Dekyndt, these drawings were ephemeral, and so were destroyed in the process of their making. 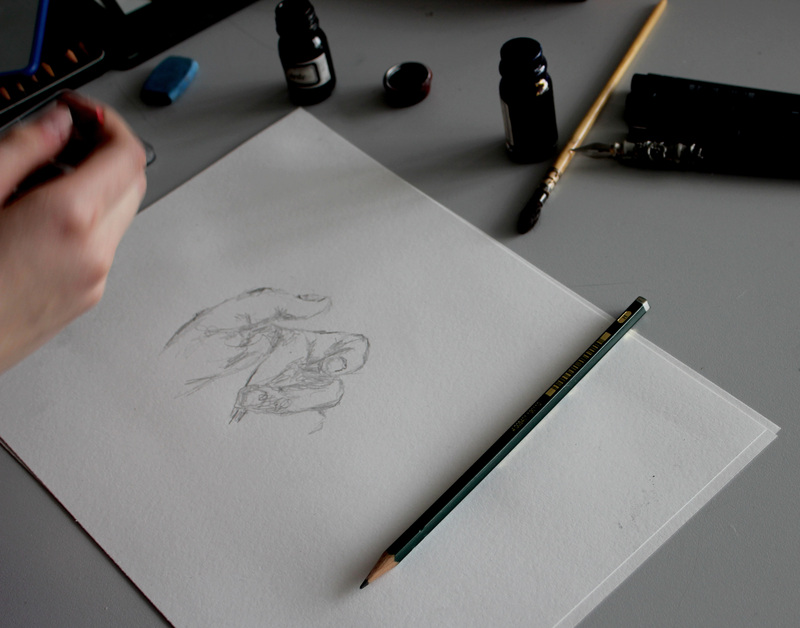 During the workshops students considered the most valuable aspect of making each drawing, and their own motivations, intentions and feelings around each mode of drawing. 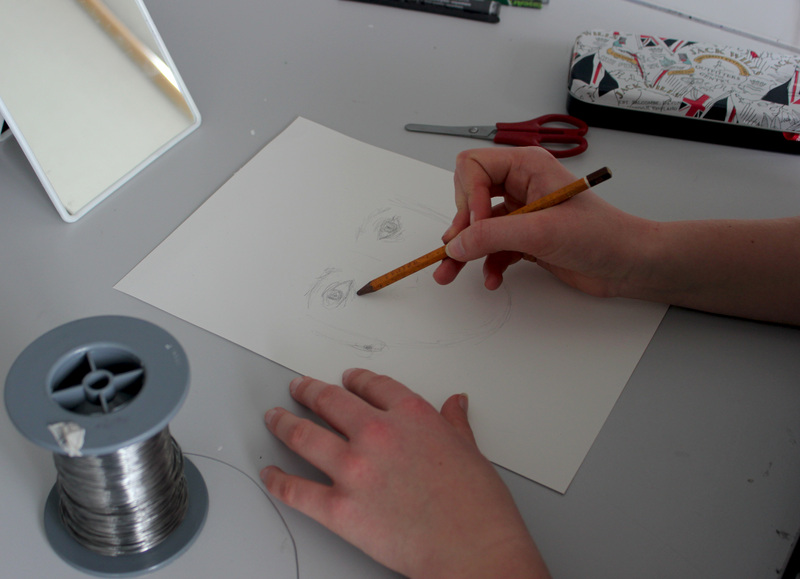 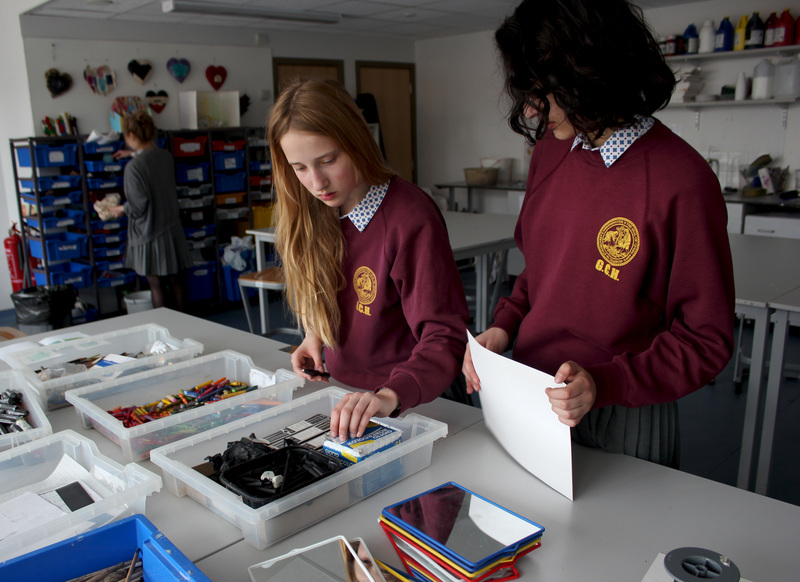 Students agreed that although they admired technically skilled drawings, they were more interested in creating work which was expressive, enjoyable to make and allowed them develop ideas through the process of making. 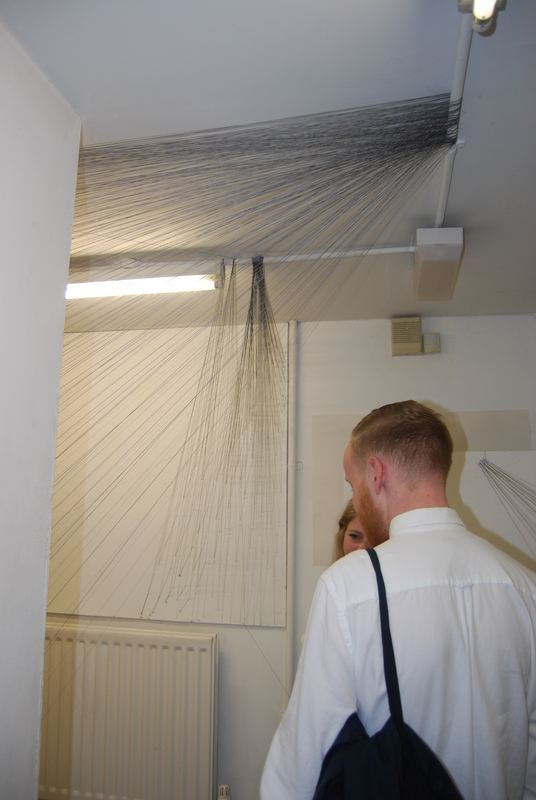 They all agreed that they were inspired by drawing as a means to learn and generate questions, and so appreciated making ephemeral work as much as, if not more than, producing a beautiful finished article, which is where the artwork for the exhibition arose. 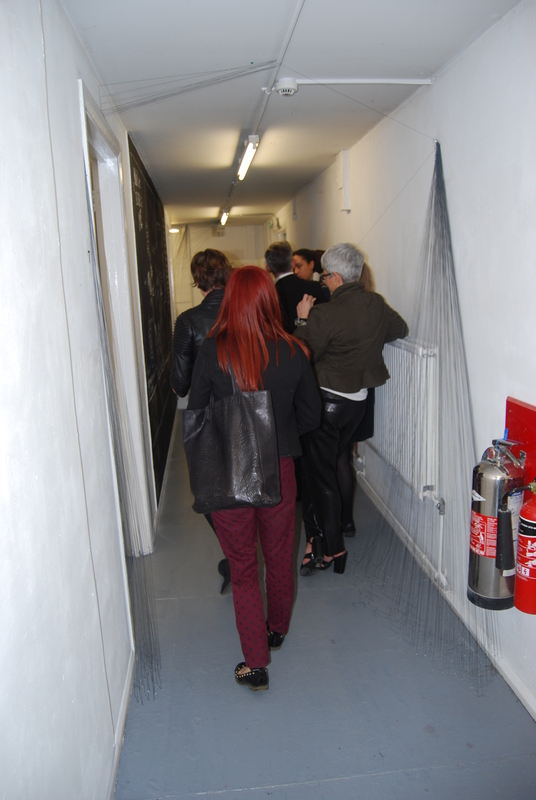 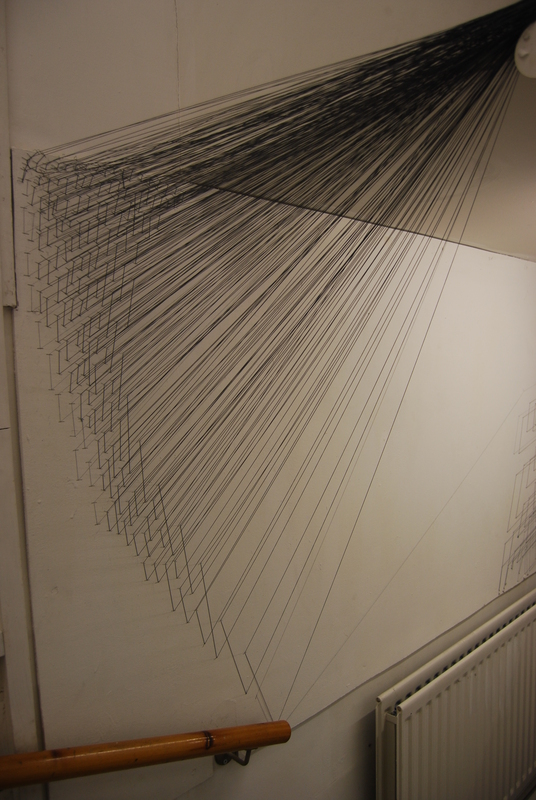 They came up with the idea of creating a large scale interactive maze like ‘drawing’ which would guide visitors through the space in a particular way, and possibly lead them to question where the drawing, and they, were going. 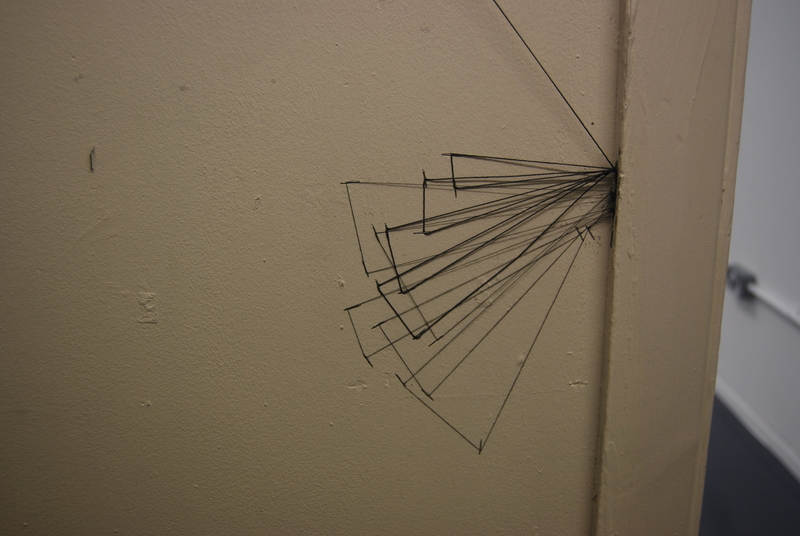 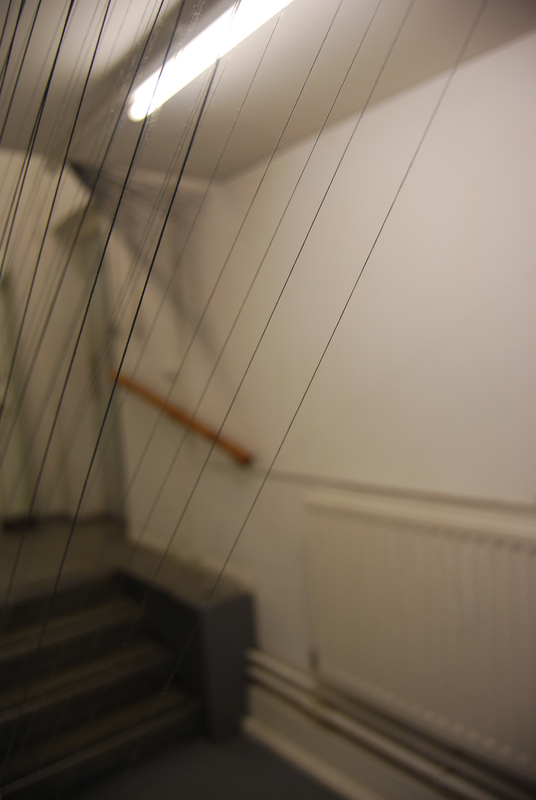 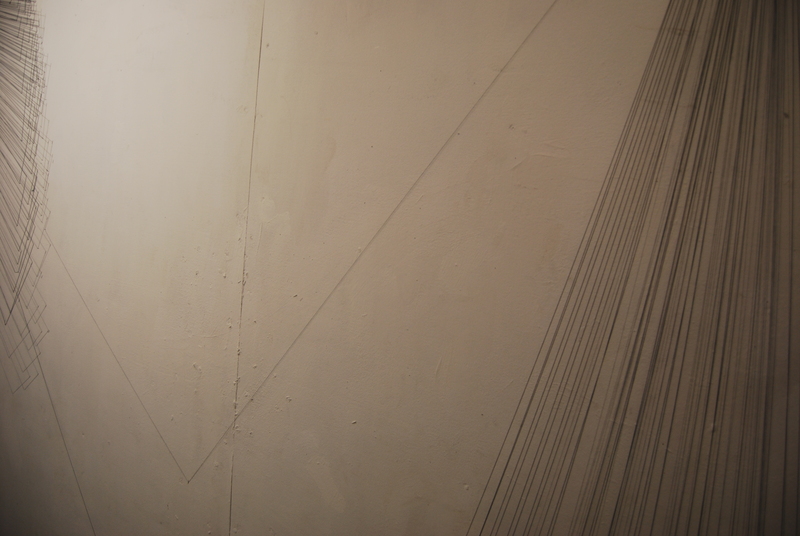 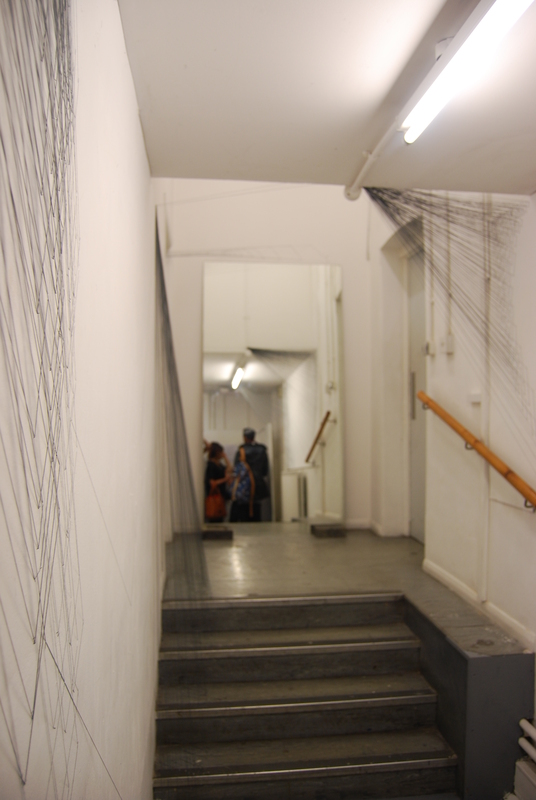 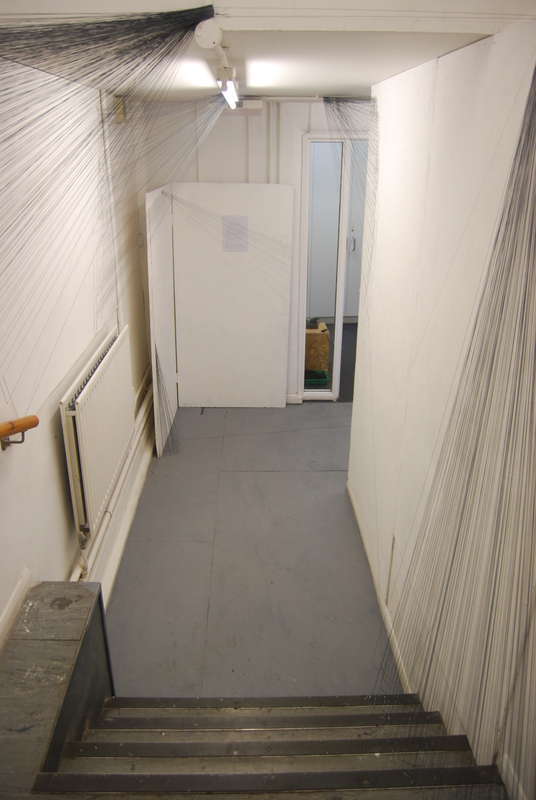 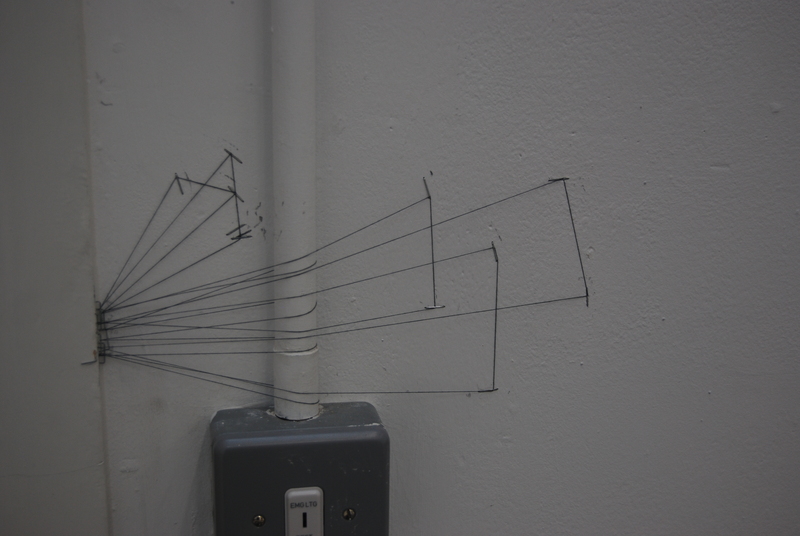 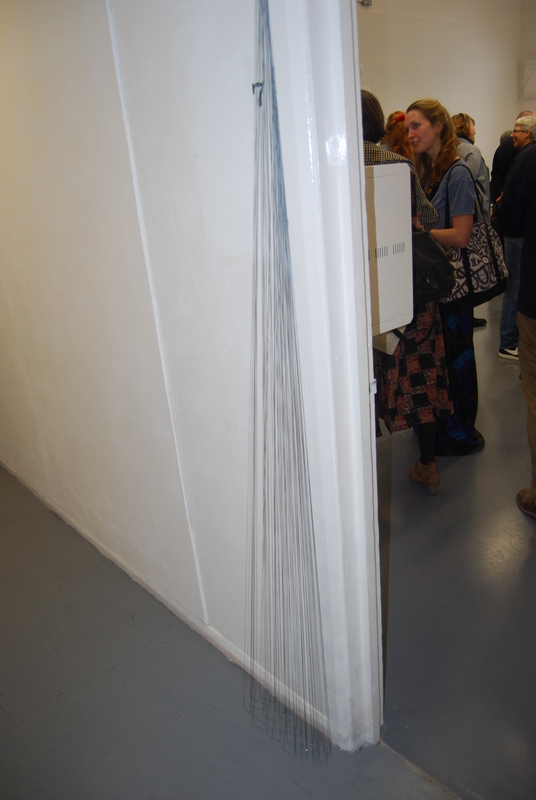 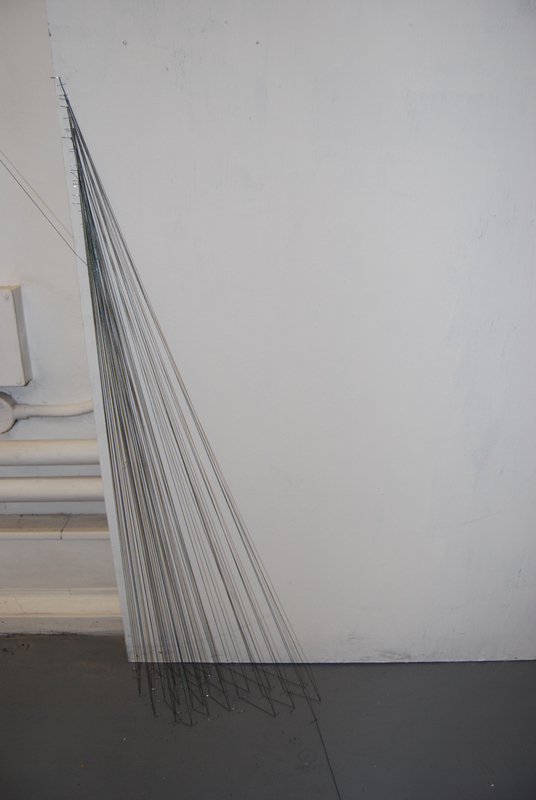 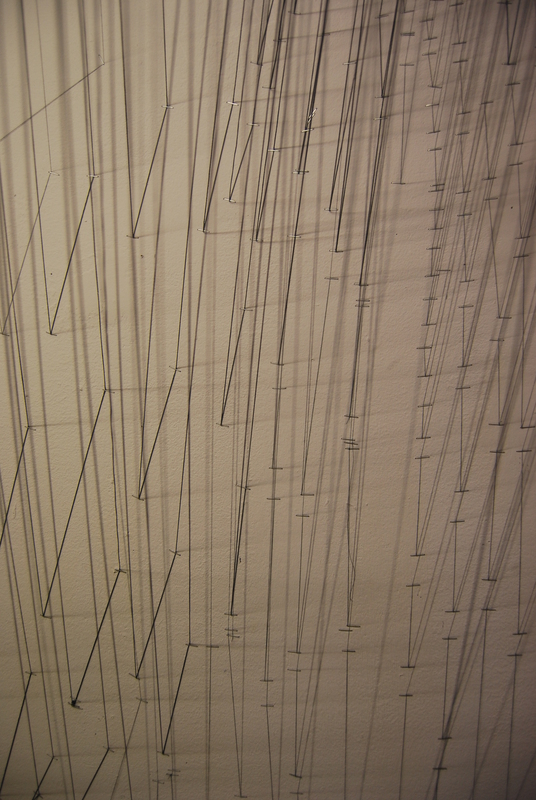 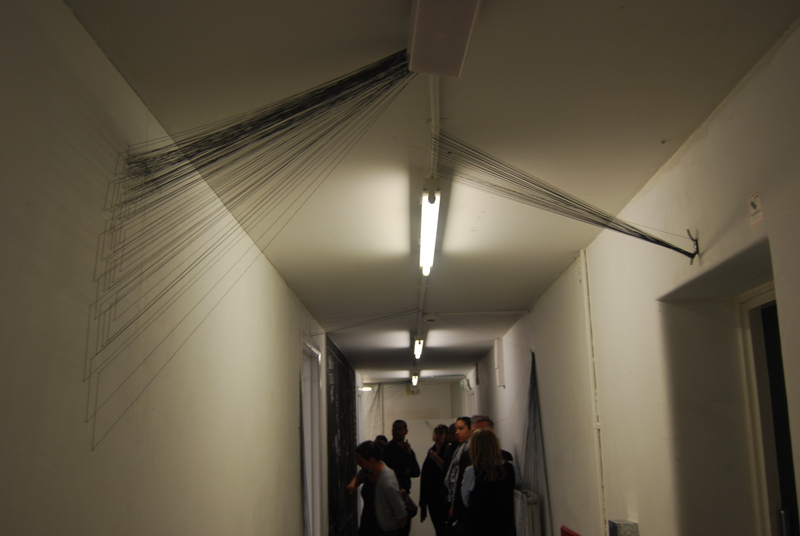 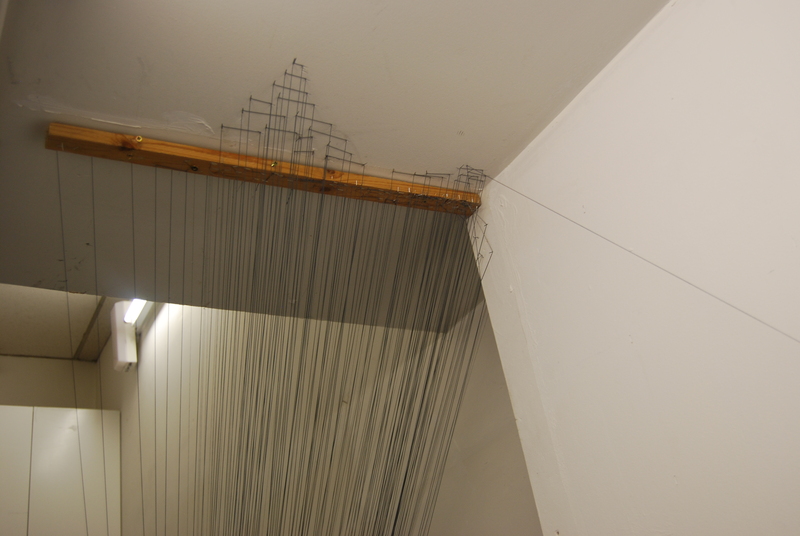 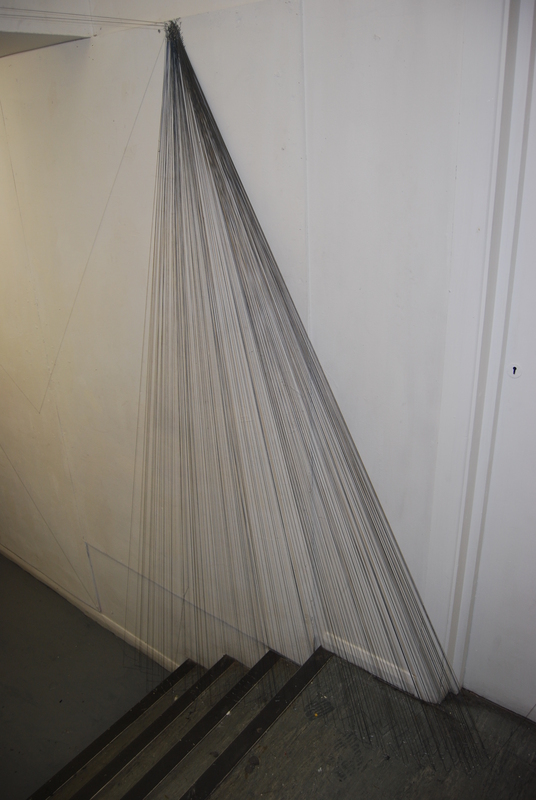 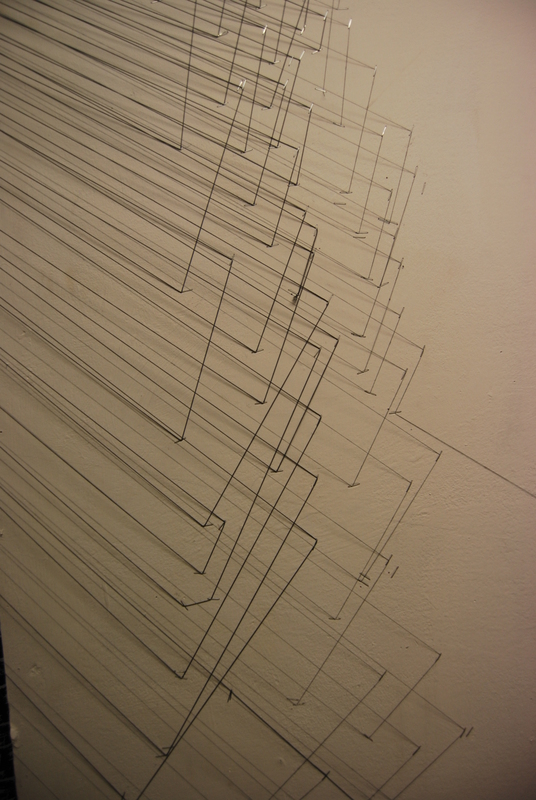 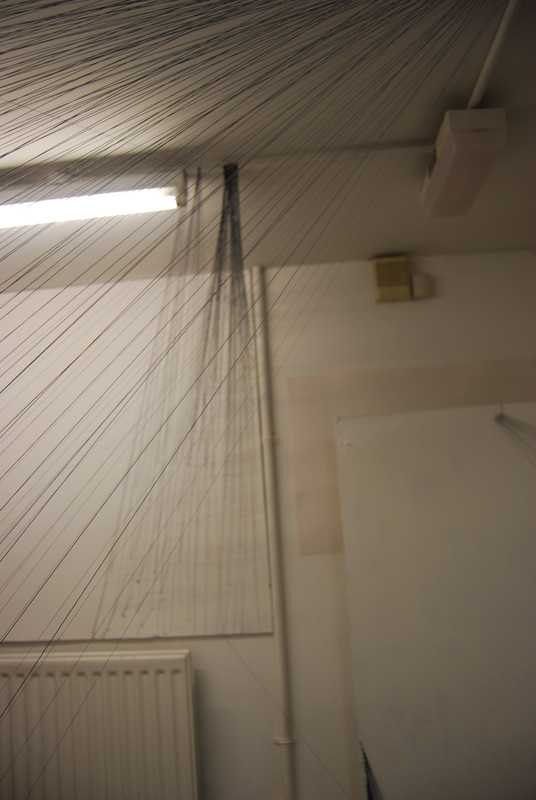 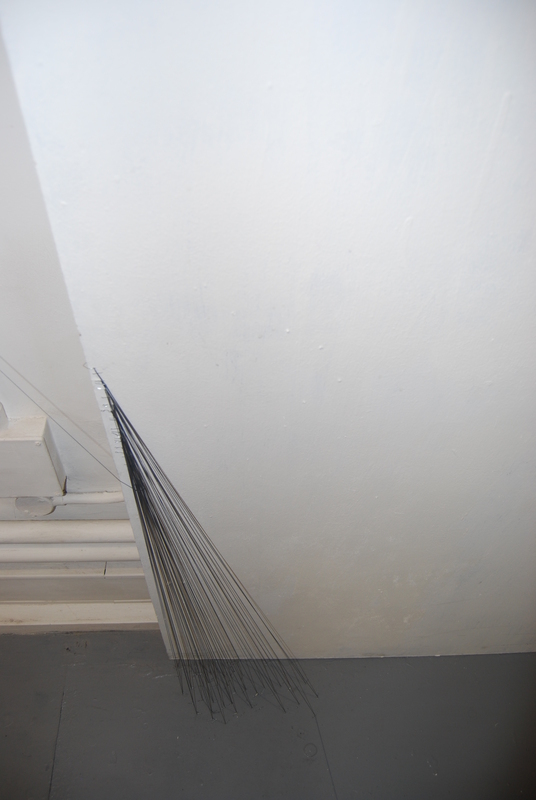 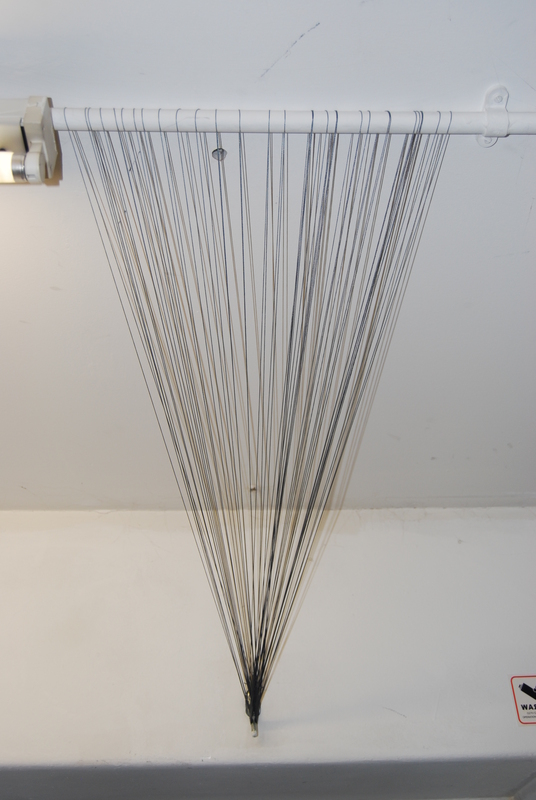 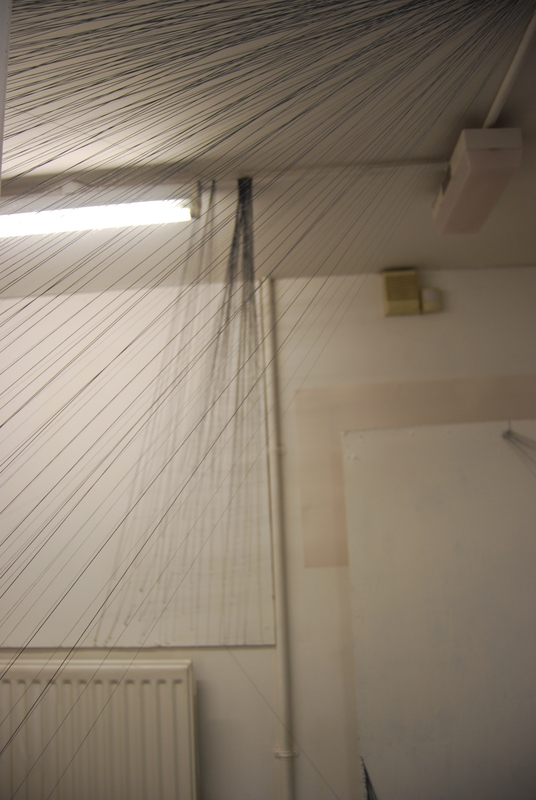 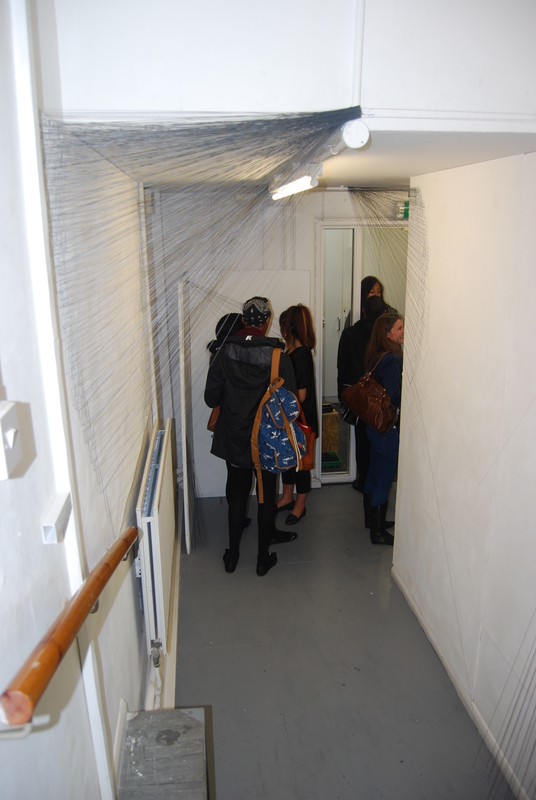 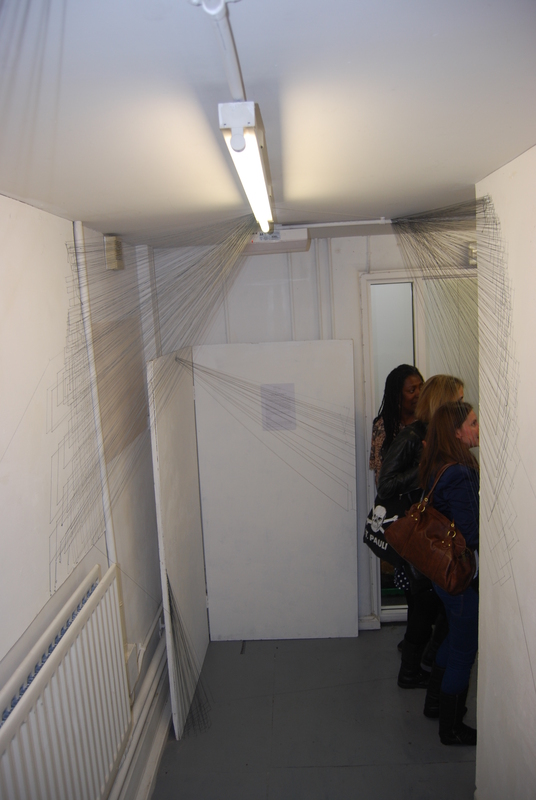 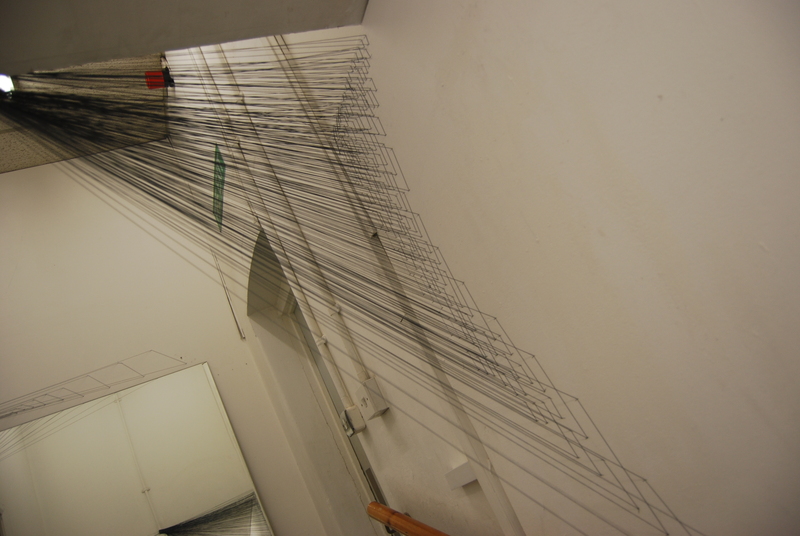 The drawing, a temporary piece made from thread, was installed in the space especially for the exhibition, and grew organically around the space over four days prior to the exhibition. 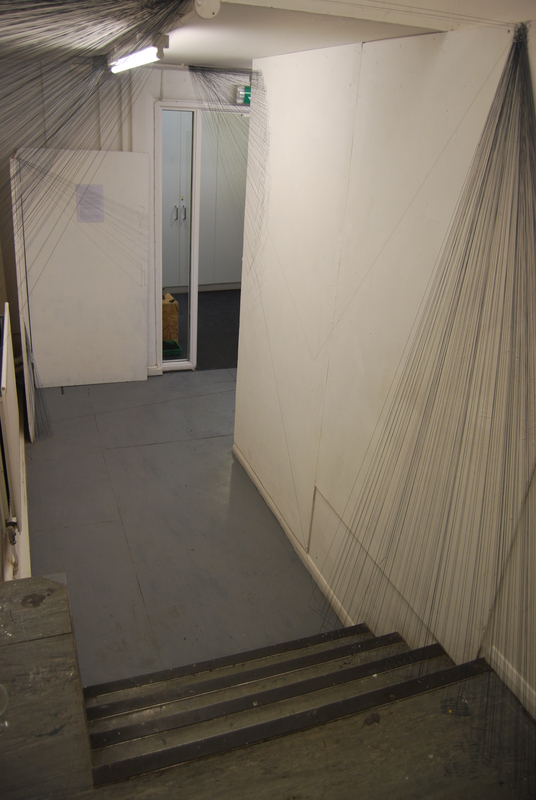 The work symbolises drawing as thinking, with a continuous line growing into and diminishing from sculptural thread ‘ideas,’ at various points around the space. 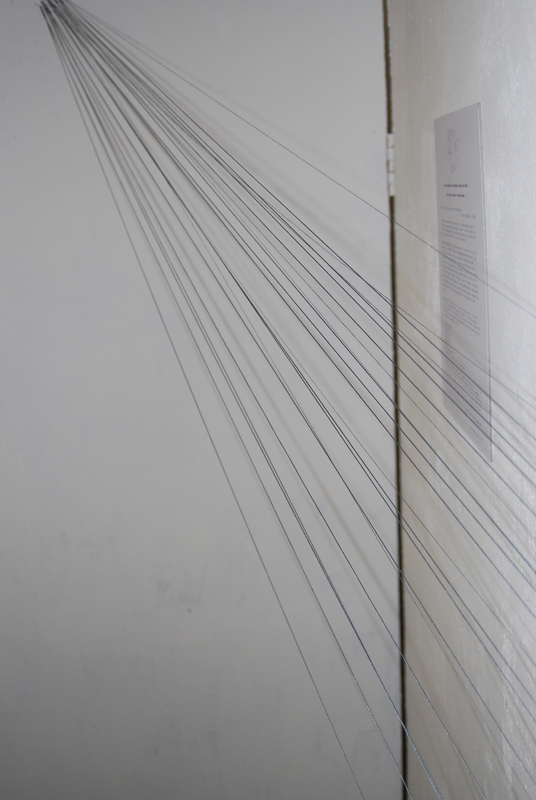 Purposely created from fragile materials, the drawing will inevitably be affected or destroyed during the exhibition, much as thoughts and ideas are in the process of creating. 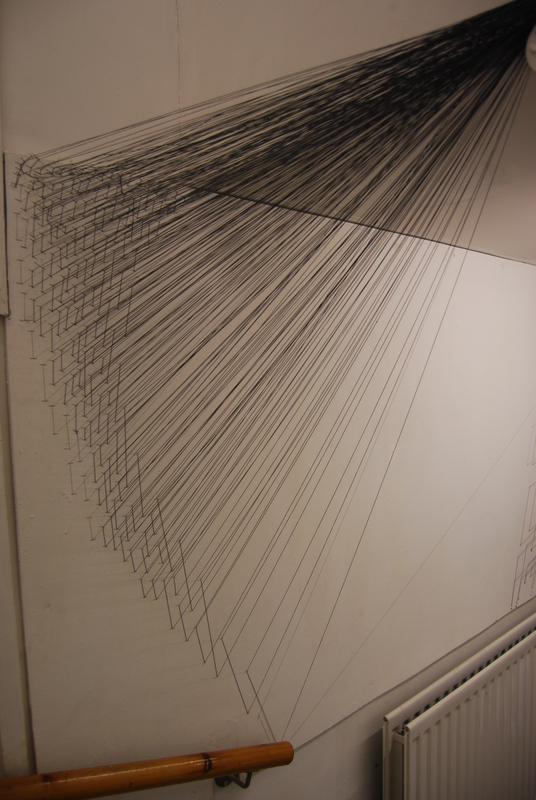 Curator Deborah Britton requested that the drawing punctuate the space and other art works, since she felt the thread was symbolic of the connections between the artworks and values of each artist teacher, and so the drawing spans the entire gallery, creeping into and around each room.